The United States and Kenya have a long standing military relationship. They are allies in the “war on terror,” of which Kenya has been a major victim. Notable attacks on Kenyan soil include the 1998 Al-Qaeda led bombing of the U.S. embassy in Nairobi where twelve Americans and hundreds of Kenyans lost their lives, and the Westgate Shopping Mall bombings of 2013 by Al-Shabaab, which claimed the lives of nearly seventy Kenyans and expatriates. 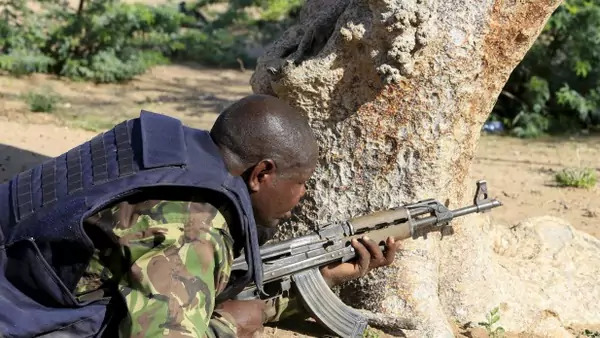 In addition, Kenya has been embroiled in a war against al-Shabaab in Somalia. U.S. forces are involved in training exercises with the Kenyan Defense Forces. As a result of this conflict, the insurgency has spilt over into Kenya’s northern (Turkana) and Coastal regions (Mombasa and Lamu). This has sparked numerous successful, and unsuccessful terrorist operations throughout the country. In this context, the Obama administration approved a $10 million drone sale to Kenya in 2016. In early 2017, the Obama administration also approved a $418 million sale of armed aircraft to Kenya. This would be the largest sale of U.S. military material to Kenya. Ted Budd the Congressman from North Carolina, led fellow members of Congress in questioning the procurement and contracting dimensions of the sale, however, observers think that the sale will be approved. The Trump administration has yet to signal whether it will continue the close relationship between Kenya and the United states as characterized by the Obama administration. Based on regional security partnerships and the “war on terror,” an early reading is that the Trump administration is likely to maintain, and perhaps even enhance, security cooperation with Kenya. However, human rights advocates will be concerned about Kenyan military abuses, especially with regards to the country’s Somali minority. In Congress, questions remain over the appropriateness of the equipment that the Kenyans wish to buy. The human rights record of the current administration of Uhuru Kenyatta is hardly unblemished. He was accused of gross human rights abuses in the context of the 2007 presidential elections and was indicted by the International Criminal Court. The indictment was later dropped, and the prosecutor claimed that the Kenyatta government refused to cooperate and intimidated witnesses. Kenya faces national elections at the end of 2017, which could again turn violent.